Don't be fooled by the lox that they got. 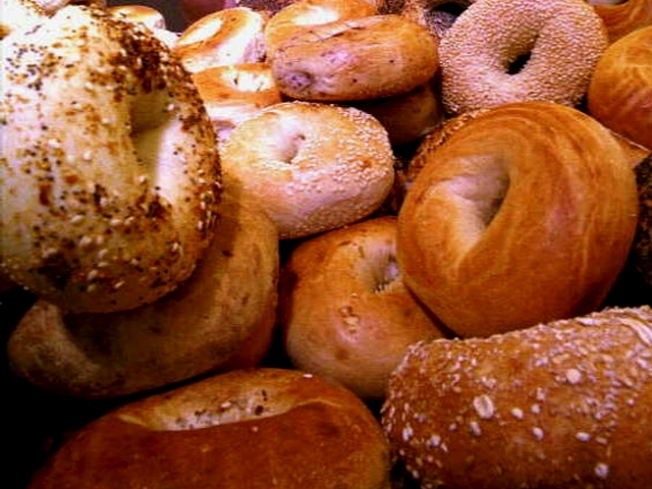 The bagel with cream cheese and lox has long been a staple in many New Yorkers diets, but one ultra-Orthodox group of rabbis are campaigning against the delicatessen delicacy. Chevra Mehadrin, a Jewish group in Monsey, N.Y, recently released a list of food items that should no longer be considered kosher. According to the group, a tiny parasitic worm called anisakis that is found in smoked salmon makes it unfit for kosher cuisine. But some other Jews think the new rules are just a bunch of mishegas. That's what a group of ultra-Orthodox rabbi's are saying. Roseanne Colletti finds out why. "From time to time there are organizations who get a little crazy with these ideas," said Hal Simon, manager of Ben's Kosher Delicatessen in midtown Manhattan, who sells lox daily. 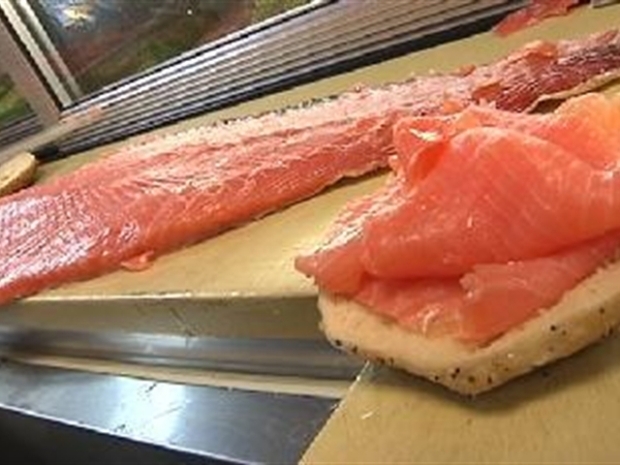 At a meeting in a Brooklyn shul last month, Rabbi Moshe Karp of Modi'in Illit in Israel claimed that fish like wild salmon, flounder and halibut, can no longer be considered kosher because of the same parasite found in all of them. In an article written by The Jewish Star, Karp said that despite arguments made in the Gemorah (second part of the sacred collection of Jewish writings known as the Talmud) that states that the worms found in fish do not make the fish non-kosher, pollution has caused the roundworm to mutate and become larger which should warrant it being taken off of the kosher list. Despite reports, some are skeptical of the radical claims made by the extreme groups. "This issue has been resolved in Jewish law for hundreds of years already," Rabbi Moshe Elefant of the Orthodox Union, the largest kashrut certifying organization in the world reported to the NY Post. Attempts to reach the Chevra Mehadrin by NBCNewYork were unsuccessful.